The month-long operation, which was dubbed 30 Days at Sea and took place throughout October, saw hundreds of law enforcement and environmental agencies from 58 countries uncover more than 500 violations. 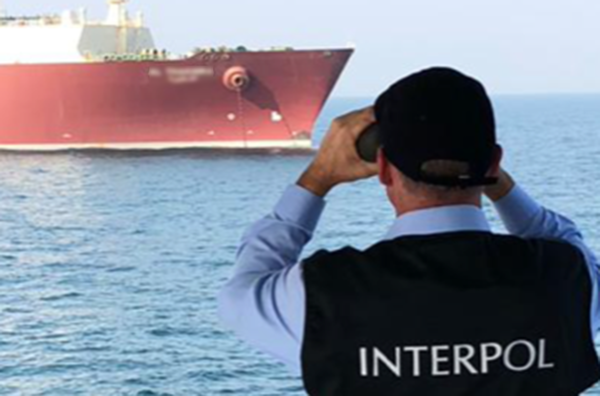 In a statement, Interpol said these included numerous illegal discharges of oil and refuse from boats, shipbreaking, breaches of ship emissions regulations, and pollution on rivers and land-based runoff to sea water. The operation – which involved a global network of 122 national coordinators directing environmental, maritime and border agencies, national police forces, customs, and port authorities – resulted in over 5,200 inspections. These have led to the establishment of at least 185 investigations, with multiple arrests and prosecutions anticipated. Interpol Secretary General Jürgen Stock said the operation was designed to disabuse organised criminal gangs of the mistaken belief that maritime pollution is low-risk and is essentially victimless. “Marine pollution creates health hazards worldwide which undermine sustainable development and requires a multi-agency, multi-sector cooperative response within a solid global security architecture,” he added. The operation resulted in the discovery of multiple cases of serious contamination, including the dumping of animal farm waste in coastal waters off the Philippines, a vessel that pumped 600 litres of palm oil into the sea near Germany, and the dumping of gallons of waste oil in large bottles at sea, which was uncovered by investigators in Ghana. Elsewhere, environmental officials prevented a potential disaster in Albania by securing waters around a sinking vessel containing some 500 litres of oil, while a major pollution threat was averted after the collision of two vessels in French waters. The 30 Days at Sea initiative was led by Interpol’s Pollution Crime Working Group, which heads up a number of projects designed to crack down on the transport, trade and disposal of wastes and hazardous substances in contravention of national and international laws. Interpol said the effort was launched in response to a call to boost international law enforcement action against emerging environmental crime through action in the field. The issue of illegal marine pollution is one that global communities may well be able to tackle successfully in the next decade, according to UN Environment Executive Director Erik Solheim, who urged law enforcement partners “to make sure that there is no impunity for the perpetrators of marine pollution crime”.